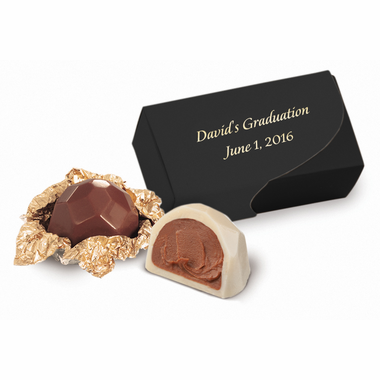 If you are looking for the best graduation chocolates favors, these truffles are it! 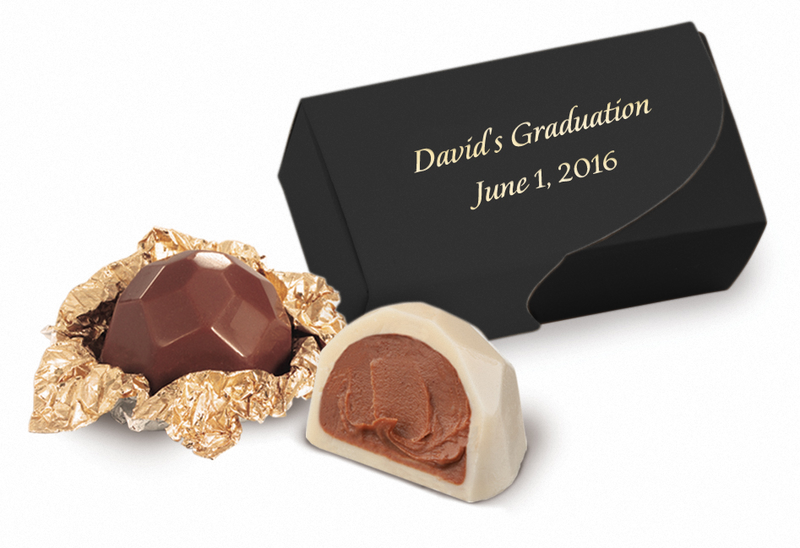 Each creme color box contains two chocolate truffles inside. 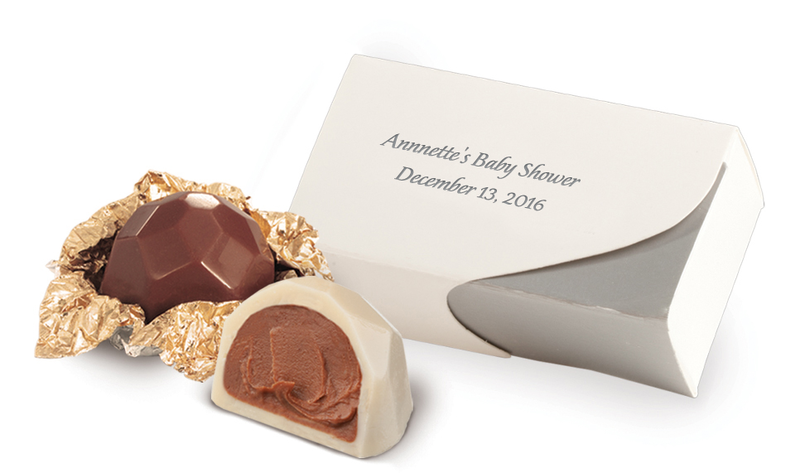 The box also displays a personalized clear label with your text in brown or black. Your satin ribbon color choices are cream, pink, light blue, lavender, brown or black. The size of each truffle is one inch in diameter. The box measures approximately 3" x 1 1/2". We did an extensive search for the best chocolates and found an excellent chocolatier. He crafts all of the truffles by hand in small batches. He uses only the finest Belgium, Swiss, and South American chocolates blended with natural oils, nuts and dried fruits. 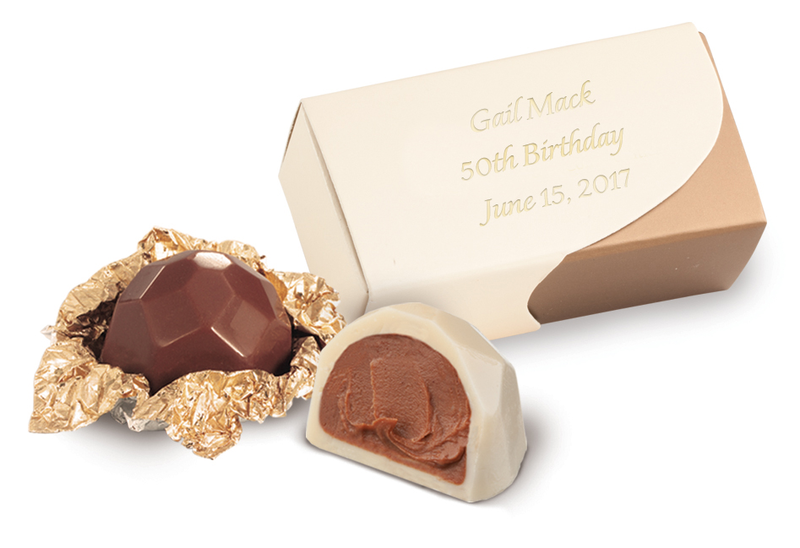 Chocolate truffle favors are made without preservatives of any kind; therefore, they are perishable and should be eaten within three weeks of purchase. They taste best within one week of purchase.